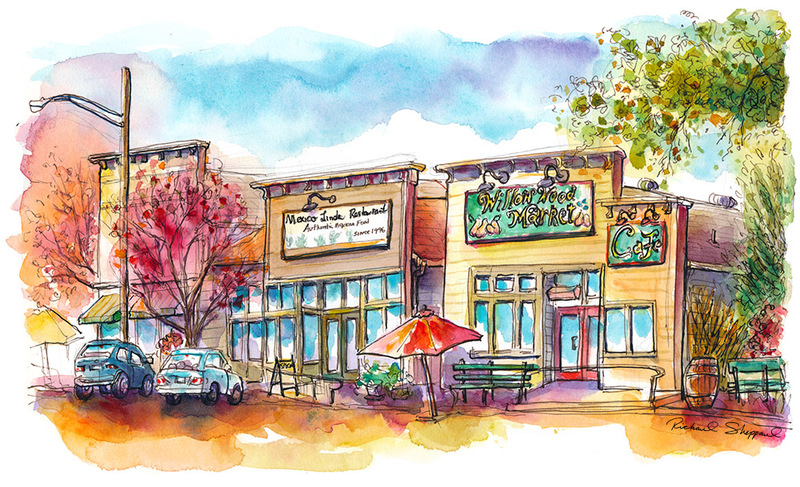 The town of Graton, just north of Sebastopol California is home toÂ several notable restaurants including Willow Wood Cafe and Mexico Lindo. This morning ourÂ group of nine met outside the Cafe, artists lining Graton Road wellÂ into the afternoon. After huddling around a bench toÂ review eachÂ other’s work,Â we enjoyed a tasty lateÂ lunch atÂ Mexico Lindo,Â followed byÂ a quick stop to check out local artists’ work atÂ Graton Art Gallery.Â What a great day! November 30, 2013 December 10, 2013 Richard SheppardComments are off for this post. Thanks for organizing the outing. I had a great time. Sorry I had to leave early. You’re welcome Kate and thanks for coming even though you could only stay for a couple hours. We’ll probably schedule another sketch day in-between Christmas and New Years.